This demo shows how to create a main window that has the same appearance as other Mac OS X applications such as Mail or iTunes. 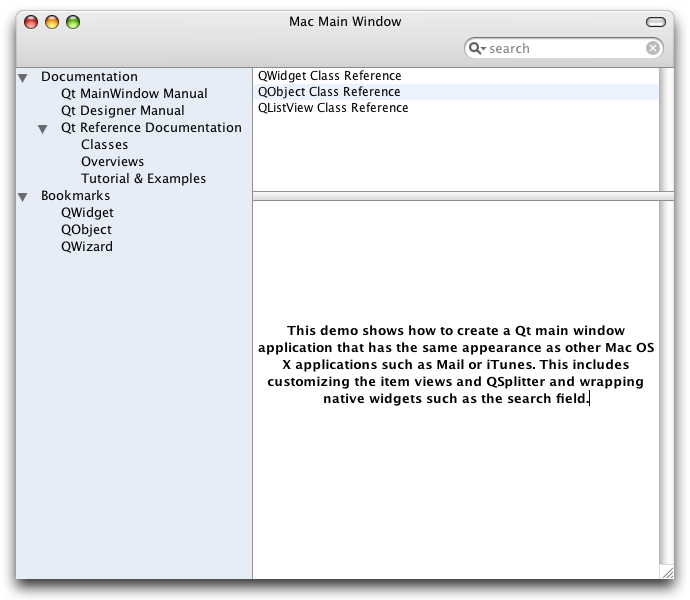 This includes customizing the item views and QSplitter and wrapping native widgets such as the search field. See $QTDIR/demos/macmainwindow for the source code.